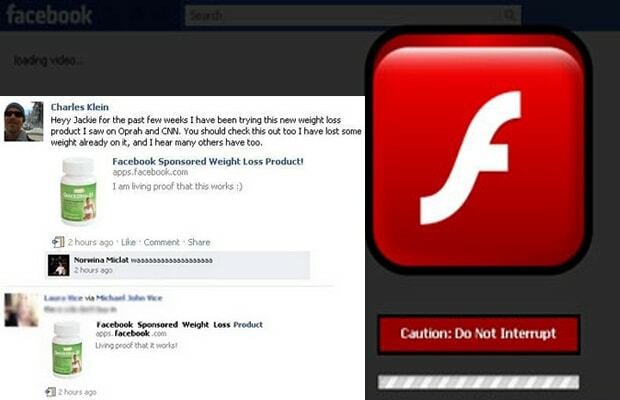 A Facebook-sponsored weight loss product? That should already set off an alarm. This spam link opens a fake news page that promotes a phony diet drink, showcasing testimonials about the product's success and co-signs from top media outlets like ABC, CNN, and USA Today. The scam appears in messages, wall posts, and even Facebook chats. We recommend you hit GNC's website and check out a real selection of diet supplements. Or cop a shake weight.